The Press Centre receives international journalists and is the special meeting place for passing on information to the media. The articles published mainly promote manufacturers and their equipment, their technological innovations, as well as their services and systems. A targeted programme of visits is prepared and proposed for each official delegation. 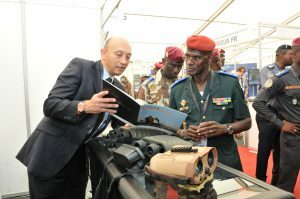 ShieldAfrica 2017 received 50 Official Delegations. 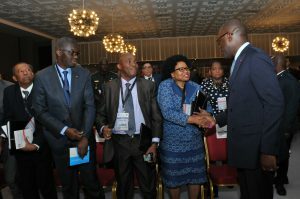 These top-level visitors came from all over the continent: six official delegations from North Africa, twenty-six from West Africa, seven from Central Africa, three from East Africa and eight from Southern Africa. 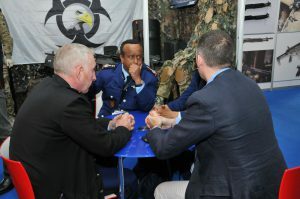 The exhibitor companies, which are both major organisations and SMEs, were able to initiate or reinforce business relationships with the stakeholders of Security (public and private) and Defence in Africa. 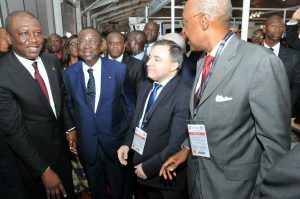 Official Delegations consists of top-level decision-makers and officials who receive a formal invitation from the Ivory Coast or the exhibition. They come from all countries in Africa where they hold senior positions in the public, semi-public and private sectors. 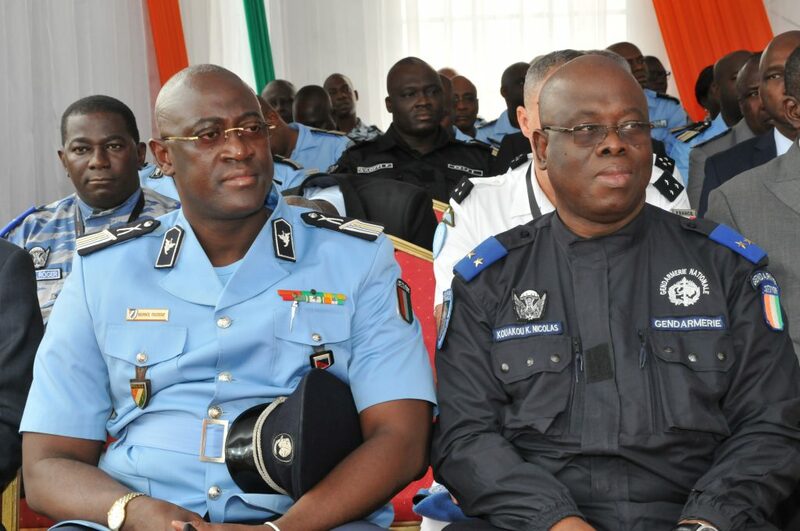 They include Defence and Interior Ministers, Chiefs of Staff, Police and Gendarmerie Chiefs, Customs and Prison Administration Directors, Forestry Commission Directors, Heads of Emergency Services, as well as managers of sensitive infrastructures and sites (ports, airports, railroads and underground networks, tourist attractions and sports facilities), strategic industrial complexes (oil and mining sites, etc. ), and the security managers of large cities and megalopolises. A targeted programme of visits is prepared and proposed for each official delegation. These guests are top-level experts and key influencers selected for the decisive role they play alongside African decision-makers in the equipment procurement process(Staff programme officers and equipment department heads). In the private sector, they particularly include corporate security/safety officers. They are invited by the organisers and represent key visitors for exhibitors. 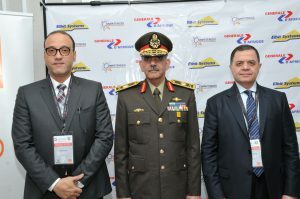 VIP Experst select the exhibitor companies they wish to meet at the exhibition.